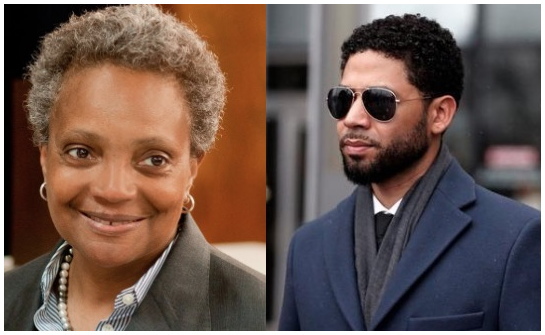 CWB Chicago: Lightfoot: Smollett should "be held accountable"; Foxx owes public "more information"
Lightfoot: Smollett should "be held accountable"; Foxx owes public "more information"
“He’s got to be held accountable,” said Lightfoot, the first openly gay person and the first black woman to be elected mayor in the city, in an interview on MSNBC. “The state’s attorney’s office has to provide more information about the rationale for the decision to drop the charges,” Lightfoot continued. Meanwhile, CWBChicago sources have said that another “emergency hearing” in the Smollett matter is scheduled for Thursday. Details regarding the subject matter and who requested the hearing were not immediately available. See CWBChicago's previous coverage of the Jussie Smollett case here.